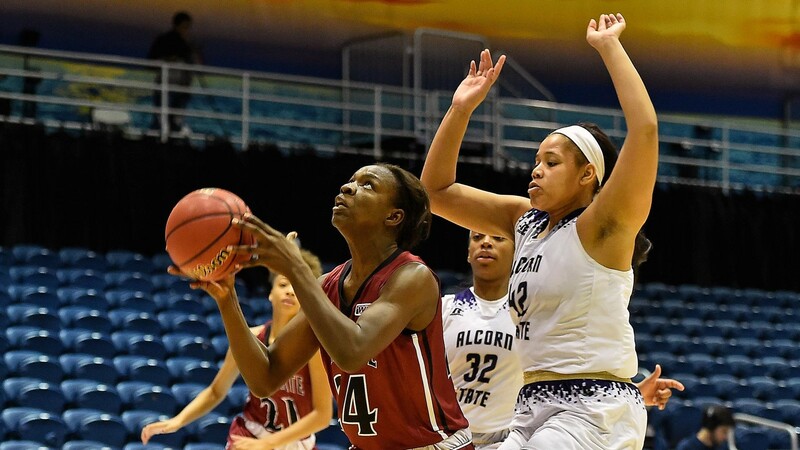 The New Mexico State women’s basketball team was busy over the winter break. The Aggies played a total of 10 games and won seven of them. The first game in that stretch came Dec. 11 against Denver University, where NMSU was able to pull out the win by a score of 66-64 in a hard-fought game. The Aggies trailed the majority of the game, but were able to find a way to come out on top. Following the game against Denver, the Aggies hosted their interstate rivals the New Mexico Lobos Dec. 15. NMSU was unable to avenge its earlier loss to the Lobos as the Aggies fell 50-75. New Mexico State then traveled to Corpus Christi, Texas, to take on Texas A&M-Corpus Christi, where the team won a thriller by a final score of 67-65. The Aggies then headed to Miami to take part in the Florida International University Holiday Tournament. New Mexico State’s first opponent was the then undefeated South Alabama Cougars Dec. 20. Looking to hand the Cougars their first loss of the season, the Aggies were in position up by three with just over four seconds on the clock when South Alabama was able to nail a three and draw a foul. The Cougars made the free-throw, and NMSU lost a tough one 67-68. The following day, the Aggies took on Alcorn State and were able to roll past them by a score of 82-64. Before the Aggies opened up conference play, the Aggies faced a couple of California teams. They first went up against the University of California, Riverside Highlanders on Dec. 28. New Mexico State couldn’t outlast the Highlanders and suffered another close loss 64-65. The final game before the Aggies entered WAC play was against the University of California, Santa Barbara Gauchos Dec. 30. New Mexico State ended non-conference play on a high note as they defeated the Gauchos by a final score of 81-73. To open up conference play, NMSU welcomed the California Baptist Lancers to the Pan American Center Jan. 3. The Aggies got off to a good start as they were able to defeat the Lancers 76-69. Following the win over California Baptist, the Aggies traveled to Phoenix to take on Grand Canyon Jan. 10. The Aggies were in a heated contest against Grand Canyon, but couldn’t get the edge as they dropped the game 51-54. The Aggies next traveled to Bakersfield, California, to take on California State University, Bakersfield Jan. 12. In a back-and-forth contest, the Aggies found themselves tied at 59 with time to take the final shot in regulation. Rather than going to last season’s WAC Player of the Year, Brooke Salas, the Aggies drew up a play for junior Adenike Aderinto and she was able to beat the buzzer and lift the Aggies to a 61-59 win. In their first game after the winter break last Thursday, the Aggies took on Seattle University in the Pan American Center. NMSU was able to defeat the Redhawks by 20 points, 75-55. On Saturday, NMSU played another home game against Utah Valley. In a close game the Aggies were able to inch ahead, 58-52. This win brings the Aggies’ overall record to 12-6. The Aggies next game is Jan. 26 at 2 p.m. against UT Rio Grande Valley inside the Pan American Center.